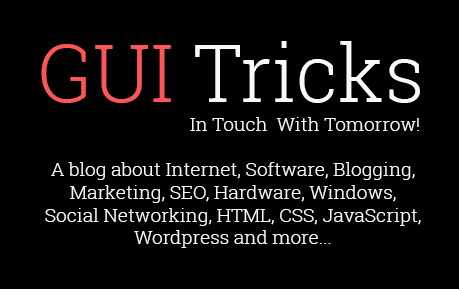 What You Should Know About Malware | GUI Tricks - In Touch With Tomorrow! 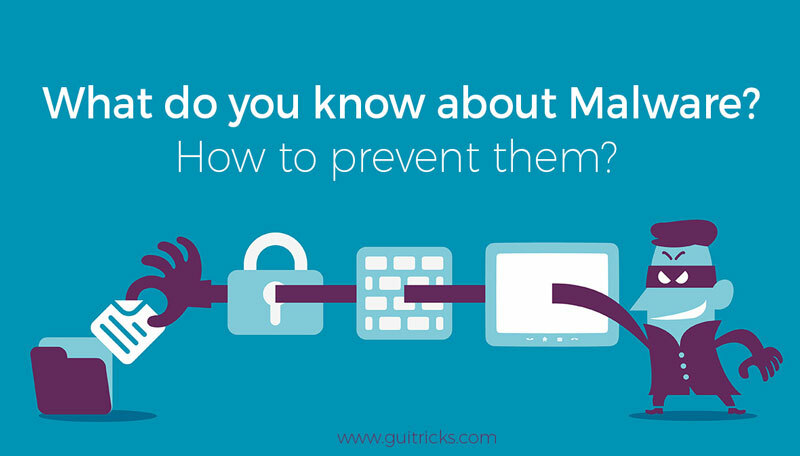 What You Should Know About Malware - GUI Tricks - In Touch With Tomorrow! Malware is a term coined from two words; malicious and software. It is a general term that was first used by a computer scientist in 1991. It means any software that performs malicious activities. The Creeper is probably the first known malware. It was made in 1971. Virus- It is the oldest type of malware. A virus is a software that can replicate itself and spread to other programs. It also spreads to other computers through storage devices or the internet. Worm- A worm can replicate itself and spread, but unlike a virus, it does not need a host program. Trojan horse- This is a stealthy type of malware that is often hard to detect. It is often disguised as a useful, legitimate program but performs malicious functions once installed. It is often used to create backdoors for other attacks or record information. Trojans do not self-replicate. Rootkit- This type of malware obtains administrator privileges, then opens doors for other types of malware attacks. Ransomware- It takes the computing device hostage by restricting user access to information. Access can be regained after paying a ransom. Spyware- This is malware designed to spy on users and relay the information to the parties who conducted the attack. Adware- Adware can be considered malware because it often does more than display ads. It can track information and even create an opportunity for other malware to get into your PC. All these types of malware make life miserable for many in this age of the internet. It is always a good idea to look for good ransomware protection to keep yourself safe from those attacks too. They spread fast and hit hard. Malware works for only one reason; all software and operating systems come with some vulnerabilities. 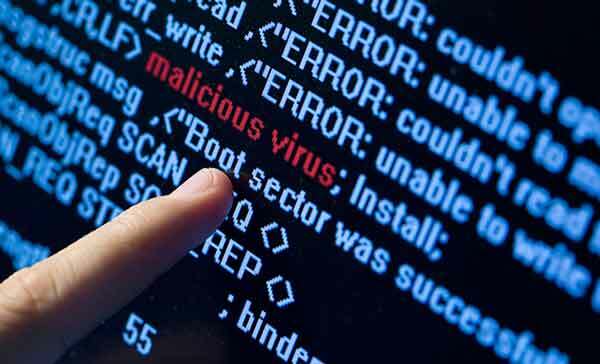 However, with a powerful malware removal tool, you can make your PC safe and avoid losses. Disguised downloads- Malware can be disguised as harmless software or hidden in media files or text documents. Drive-by downloads- Malware automatically downloads when you visit an infected site. Malicious links- Clicking on malicious links in emails and messages can download malware. Shared file storage- This includes removable disk drives like thumb drives. Bluetooth and local networks- Viruses can spread when infected files are shared using these options. Another way malware can spread is by exploiting vulnerabilities in the system. In some instances, a preliminary attack installs a malware which creates a backdoor for future malware attacks. A backdoor is a way for others to access the computer without going through the usual security protocols. Committing ad fraud. Most companies pay advertising networks for each click. Hackers can seize many computers to perform click fraud and make money. Some malware attacks do something more sinister, they use your PC to launch attacks on other computers. The malware can also use the computer to launch DDoS attacks. Other types of malware act as keyloggers, they record keystrokes every time you type to steal passwords. This information is then sent to criminals who can steal money or user accounts using the passwords. For all the headaches that malware provoke, who gains from them? Malware is often made by young people. Not many of them are highly skilled programmers. However, some are very skilled. Most of those who write malware are contracted by criminal gangs. The Ransomware as a service website allows criminals to initiate ransomware attacks and charges them a small percentage, currently 20%. It operates in the dark web and offers various tools at a price. Conspiracy theorists also say that governments make malware to spy on their citizens. This holds some truth because governments often employ top hackers and coders. Keeping away from adult sites and sites that offer illegal downloads. Most of these are not secure. Avoiding public Wi-Fi because hackers use some of them to initiate attacks. Malware continues to evolve on a day to day basis. Anti-malware protection has also improved with thousands of researchers finding threats, even before criminals can find them in some instances. Apply robust safety measures like those listed in the previous sections to avoid losses.